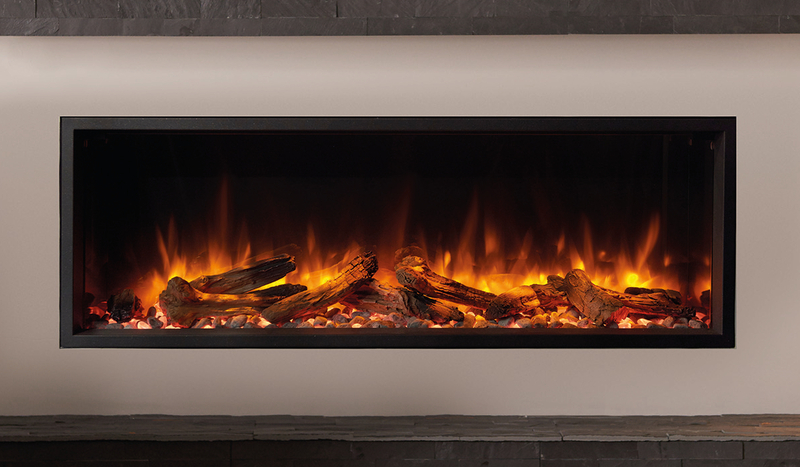 The Gazco Skope 135R inset electric fire creates a minimalist, hole-in-the-wall installations for a clean and contemporary, built-in aesthetic. Offered in a choice of four sizes from the smallest 85R to the commanding 195R. Inset models are suitable for a broad range of settings from the lounge to the bedroom. Each size features the Skope’s powerful Chromalight Immersive LED technology, assortment of feature fuel effects (which can be mixed and matched), and advanced Thermostatic handset for ambient heating. New for 2018, the Gazco Skope 135R inset electric fire is an impressive addition to our selection of landscape electric fires. 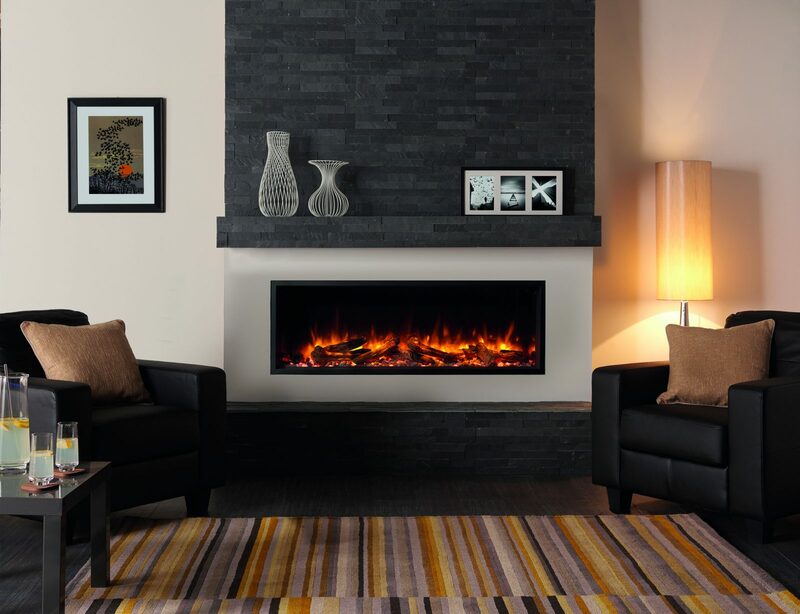 Featuring a changeable LED backing flame and fuel bed, the Skope 135R electric fire is an improvement on the already popular Gazco Radiance 135R Edge Inset Electric Fire. Gazco’s research and development laboratories are amongst the most advanced in the industry, ensuring that the very latest innovations are incorporated into their products. Gazco is part of the Stovax Group who offer a prestigious product range which includes everything from traditional to the ultra-contemporary in a wide array of styles and sizes, so whether your choice is solid fuel, gas, or electric you can be sure to find a stove or fireplace from their range to add the perfect warmth and character to your home.